A sponsored post written by me on behalf of My Gym Yorba Linda. I remember when I was a new mom, I was at a loss of what to do with myself and my little man. Running off to the mall to shop all the time was getting a little expensive. 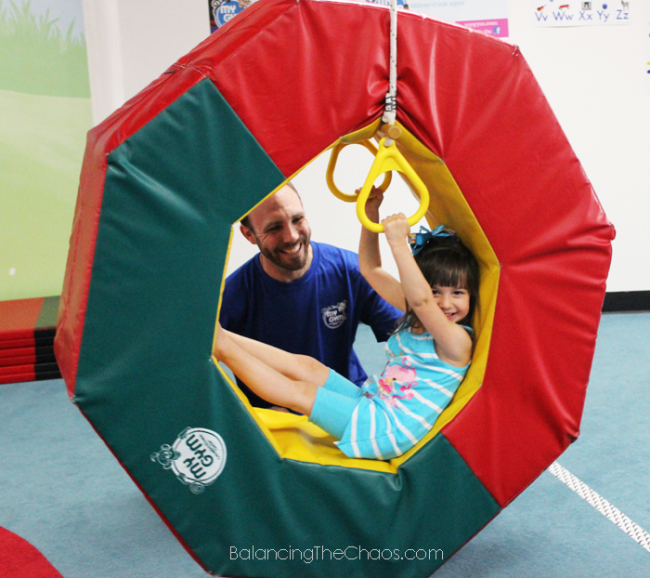 I was looking for a fun, safe indoor playground that would be a fun learning experience for the both of my children and myself My Gym Yorba Linda was exactly what I was looking for. On Saturday, September 19th, you are invited a Fall Festival, a family fun event at My Gym Yorba Linda. Families will be able to experience the fun My Gym has to offer, for FREE! My Gym has developed a brand new dance program and will be demonstrating the fun for guests in attendance. During the Fall Festival, you will have the opportunity to win big! Want to participate in day classes, camps or even host a birthday party? They will be giving some of these items away. Mark your calendar and come and check out the fun at the Fall Festival at My Gym Yorba Linda on Saturday, September 19th from 10am – 3pm. Rather than hosting an open play, My Gym Yorba Linda consists of classes designed around specific age groups and abilities from 6 weeks old all the way up to 13 years. Little Bundles: (Age 6 Weeks – 6 Months): The littlest of students will do baby exercises, sing songs, dance, participate in infant-safe rides, unique swings, and many other Parent & Me adventures await the infant-parent team. 45 minute class. Tiny Tykes: (Age 7 – 13 Months): Tiny Tykes requires parent participation and both are led through a variety of beginning stretches, exercises, infant songs and dances, baby-safe rides and adventures, balance and agility skills, and introductory tumbling during this 45-minute program. A relationship to movement and physical activity begins to develop. 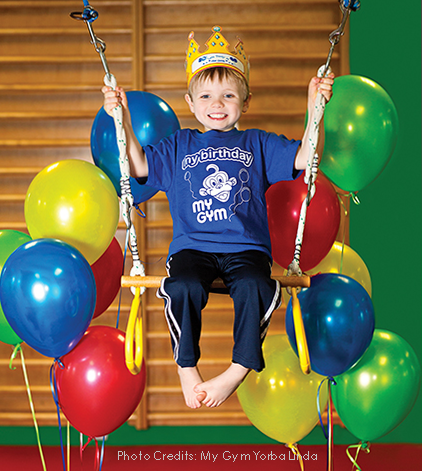 Waddlers: (Age 14 – 22 Months): A 1-hour program with a focus on balance, tumbling, hanging and agility skills. At this age, a child’s level of independent mobility will typically progress from aggressive crawling to running with a focus on fine and gross motor skills. Gymsters: (Age 22 Months – 2 Years): Active youngsters will enjoy singing, dancing, swinging, and play games. Kids will also enjoy watching puppet shows, take turns on special rides, and have “Surprise Time” during this hour long class. They will work on fine and gross manipulatives in a structured format. Terrific Tots: (2 1/2 years – 3-1/4 years): Toddlers will work on social skills while becoming become good listeners, learning how to follow directions, cooperate in a group, and learn more about themselves. They become more independent as teachers are now interacting more directly with them while parent involvement is decreased. Mighty Mights: (3 1/4 years – 4 1/2 years): Mighty Mites engage in relays, more complex games, and beginning sports skills lead to increased strength, enhanced manipulative ability, and improved hand-eye coordination during this 1-hour program geared to build self-esteem and confidence. Whiz Kids: (4 1/2 years – 6 years): Kids in this age group are more independent will work on build strength, balance, agility, flexibility and coordination in this 1-hour program, as instructors maintain a positive, supportive and noncompetitive atmosphere. Champions: (6- 8 years): The Champions program is fast-paced and completely structured with organized ingredients throughout the hour. This class introduces a wide range of physical skills and cooperative group activities in preparation for organized sports and outside activities. Cardio Kids: (7-13 years): Endurance and gross motor skills are increased through a series of exciting and dynamic activities. At this level, they focus on specific muscle groups, utilize a 4-station circuit-training course, and add fun nutritional tips, our goal in this 1-hour program is to instill health and fitness as a way of life. The complete facility is dedicated to your family and guests with custom-made, state of the art equipment and fun, supportive teachers to make it a memorable experience for everyone.